Montrose, found on the Western Slope of the Rocky Mountains, is a quaint town with a unique blend of Colorado living and business culture. With Colorado’s best resorts only minutes away, Montrose is always receiving business that helps the town thrive and maintain it’s ideal cost of living. This wonderful town has everything a resident should need from a variety of dining options, shopping, numerous parks and trails, and an 82,000-square foot community center with a pool, lazy river, rock climbing and so much more. It’s the perfect location for those looking for a fresh start in a welcoming town. Not only does Montrose have plenty to offer, but the real estate options are endless. 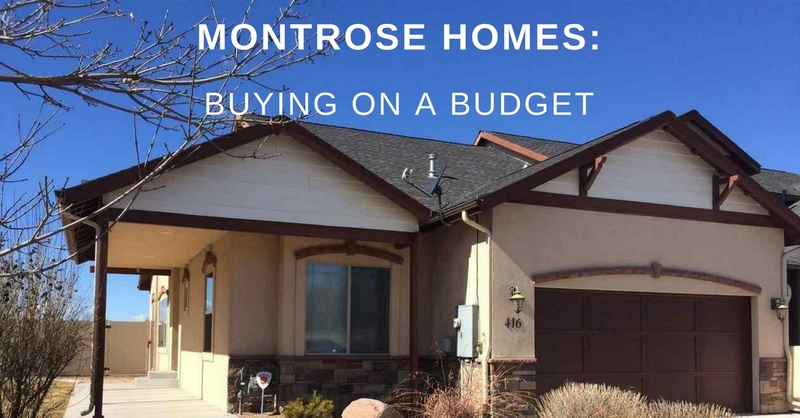 Below are some of the best homes found in Montrose for under $300,000. This beautiful and cozy corner lot in the Cobble Creek Golf Community is ideal for those looking to start a family. The master suite is large and has a very spacious walk-in closet, the patio and fenced in backyard is a great space for entertaining, and the large open living room includes an office alcove. This quiet home is located in a private cul-de-sac and is walking distance to the Montrose recreation center. The backyard is beautifully landscaped with a large deck for gathering guests for a backyard barbeque on warm summer evenings. This incredible home, found on a cul-de-sac with only 4 homes total has immaculate views of Grand Mesa. The gorgeous landscaping with sheds for storage and large backyard will ensure you enjoy the sunny mornings and warm evenings. This great townhome is found in the Seasons Subdivision. The landscaping is well maintained and clean. Inside this home is a large great room, perfect for entertaining, and has a gorgeous open kitchen. This property is close to schools, golf courses, great restaurants and more! A corner lot in a cul-de-sac includes a large patio, private backyard and also has a built-in dog kennel for those with furry family members. With all this house has to offer, you must come see it for yourself!